Learn More About Chap "Alert"
Attention Customers - B Bar B chap look and designs copied by imports! A group of men from India came to our facility a few years ago trying to sell us imported blankets and they had a great interest in our chaps. They immediately knocked-off our "look" and started importing chaps from India and began selling through large distributors and larger western stores. At least three large US wholesale distributors are now selling imported knockoffs of our chap designs to western stores on a nationwide scale. These chaps have the same style leg cut, same style of top yokes, same style side yokes and etc. 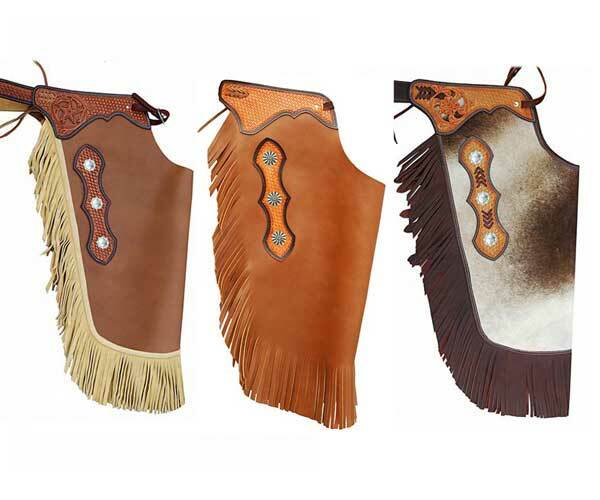 They don't have the same quality leather or the same quality workmanship but they have attempted to duplicate our every cut, shape, and the overall "unique look" of our chaps. Our chaps have always been very recognizable because of the cuts, designs, and quality unique to B Bar B and it is unfortunate that our look and name has again been targeted by importers. If you don't want an import, make sure that you are buying the original B Bar B made in Blackfoot, Idaho. Locate the B Bar B brand on the inner side of the backbelt on most chaps. Farrier chaps will have a B Bar B tag sewn to the chap and black colored chaps will have a B Bar B name tag sewn to the chaps if the backbelt is too dark to show a brand. Please see the pictures shown below, I have posted some pictures of the knock-offs. Note the style and cut of the leg and the style and cut of the top and side yokes, you will find that our unique look has been copied. If you don't want to buy an import and you are ordering online, make sure to call and ask the seller where they are made before buying them. We have also had several customers inform us that another website is informing their customers that our manufacturing facility is owned and operated by them. We have no owners outside of the family and outside of Blackfoot, Idaho. 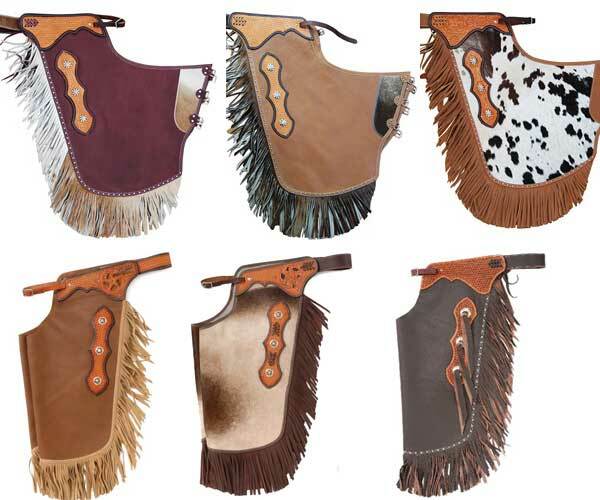 Other websites do order chaps from us to re-sell to their own customers as wholesale to other stores is our main business. Those websites are customer of ours but have no other affiliation, just like the stores that sell NIKE shoes have no other affiliation with that company other than the buying and selling of their products. We are the sole owners and operators of B Bar B Wholesale and the bbarbwholesale.com website. One of the main imported brands on the internet is "Tough - 1" - they have copied our look. You will see that by the shape of the tooled top and side yokes.